Dr. Karen Burke is a dermatologist and research scientist. After her Ph.D. in biophysics from Cornell University, Ithaca, NY, she completed post-doctoral fellowships at Cornell University Medical College and The Rockefeller University. She earned her M.D. at New York University with residency in dermatology. She is currently an Associate Clinical Professor in the Department of Dermatology in the Icahn School of Medicine at Mt. Sinai Medical Center. Her current research at Mt. Sinai investigates antioxidants to prevent and reverse photoaging and skin cancer. She has two patents on topical L-selenomethionine. She has also studied fat structure and metabolism, topical retinoic acid as well as collagen, hyaluronic acid, and other implants to treat wrinkles and scars. In her private practice, Dr. Burke sees patients of all ages and treats all problems of the skin. She specializes in reversing the appearance of aging skin with medicines and noninvasive “lunchtime” treatments (laser treatments for dark spots, unattractive blood vessels and hair removal, many treatments for wrinkles, and new radiofrequency “face-lifting” for sagging neck and jowls) as well as weight loss and cellulite treatment. Dr. Burke has written many research articles and medical book review chapters as well as six popular books (including Thin Thighs for Life, Great Skin for Life, and Thin Thighs Diet and Workout). She is often quoted as a skincare expert in many fashion and health magazines. She currently serves on the editorial boards of Cutis, Aesthetic Dermatology News, Cosmetics in Dermatology, and Journal of Drugs in Dermatology. For many years, Dr. Burke was the Medical and Science Editor of the Diplomatic World Bulletin (United Nations, New York) for which she wrote a monthly “Health Update” column. She has been a consultant to many corporations including L’Oréal (Paris, France). She has been cited as one of New York’s prominent physicians by New York Magazine and The New York Times and by Castle-Connolly Guide to Doctors each year since 2001. She received a “Women of the Year” award from the New York Police Athletic League (2009), a “Distinguished Woman Award” from Northwood University (2010), and a “Trademark Woman of Distinction Honor” (2017). In 2014 she received a Presidential Citation from the American Academy of Dermatology and was elected to the prestigious American Dermatological Association (and to the ADA Board in 2017). Dr. Burke is an Honorary Life Governor of the New York Academy of Sciences and serves on the Board of Directors of the New York Stem Cell Foundation and the Parkinson’s Disease Foundation, and is a Trustee of the Poly Prep Country Day School. Dr. Burke has also served on to the United States Federal Drug Administration (FDA) General and Plastic Surgery Device Advisory Panel since 2007. 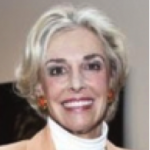 She is founder and president of the Karen E. Burke Research Foundation and of Longévité, Ltd. She was previously on the Board of the Women’s Dermatologic Society and is still active in that organization. She serves on the board of the Hospitality Committee for UN Delegates and is an active member of the Women’s Forum of the United Nations and One Bright World as well as of many scientific and medical organizations including the American Academy of Dermatology, the Skin Cancer Foundation, The Dermatology Foundation, the American Society of Dermatologic Surgery, the Society for Investigative Dermatology, and the American Medical Association, and others.